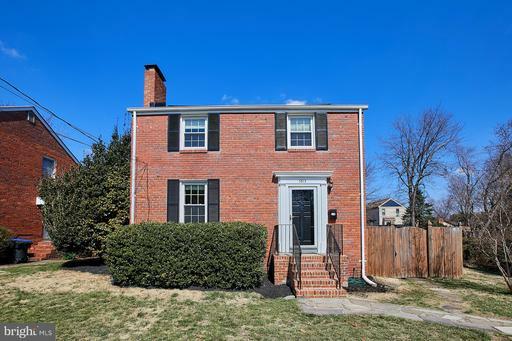 Mid Century Classic Brick 3 BR, 2.5 BA Colonial in Glencarlyn Neighborhood. Updated kitchen features granite countertops and stainless steel appliances, maple cabinets and tile flooring. Main level Den with full bath could be used as 4th bedroom. Gleaming hardwoods throughout. Finished, walk up lower level family room with gas fireplace and large utility storage area. Freshly painted throughout. Large, level fenced in yard. New HVAC 17, Rood 17, HWH 18. Glencarlyn is a wonderful neighborhood and has so much to offer. It is home to Carlin Hall, Long Branch Nature Center, Glencarlyn Library and Community Garden, Glencarlyn Park which includes trails, a picnic area and dog park and Arlington Forest Pool Club. Great location, minutes to Ballston Quarter, Amazon HQ 2 and easy commute to DC.